Tomas Mickonis also known as Kaliause (Scarecrow) was born in Vilnius, Lietuva (Luthiania) and graduated from the Vilnius Academy of the Arts in 1996 (painting). A member of the Lithuanian Artists’ Association and has arranged around 15 solo exhibitions, participates in group exhibitions and projects. 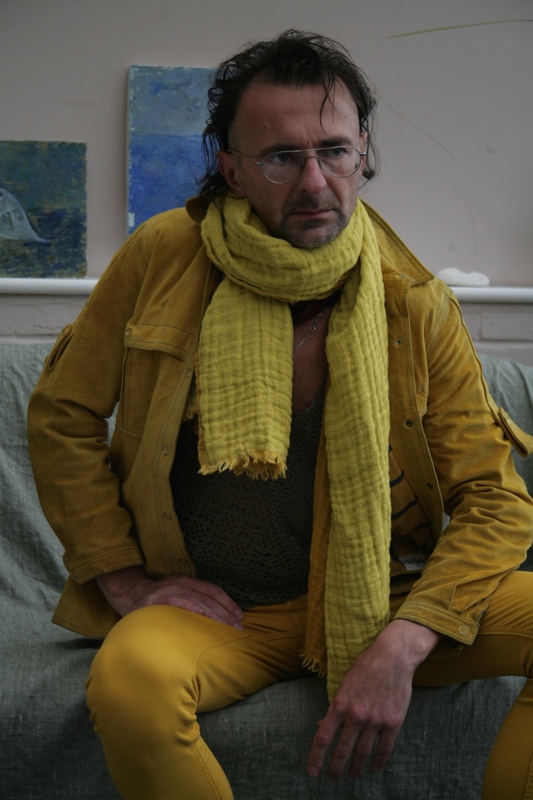 Lives in Cymru at the present and works in painting, etching, installation, photography, body art, performance and Butoh. Writes poetry in Lithuanian.